Learn how mobile app development helped improve training participation for Lloyd's Register employees. For drilling operations to proceed safely and efficiently, the oil and gas industry depends on well-trained and competent personnel. To ensure this, Lloyd’s Register Energy-Drilling houses three training facilities to provide accredited courses to a variety of candidates. However, Lloyd’s was in need of a training application that would allow workers to register for these classes conveniently and from their mobile devices. 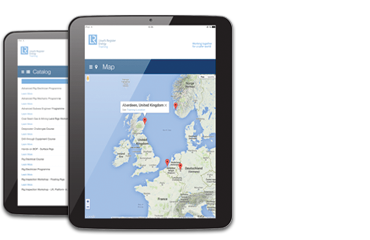 See how HexaGroup leveraged application development and mobile solution development to create an innovative training app, and what future developments are in the works for Lloyd’s Register Energy-Drilling. Fill out the form above to download the full case study.